Professor Philip Marston’s research activities comprise experimental and theoretical investigations of physical acoustics, low-gravity fluid mechanics, and light scattering. Marston’s present research in acoustics includes fundamental aspects of radiation and scattering of sound from elastic objects in water and investigations of novel processes for the interaction of sound with sound in modified fluids. The research on scattering involves the use of ray methods to describe Lamb and Rayleigh wave contributions to radiation and scattering from complicated objects. An indoor water tank facility (containing tanks having capacities of 6500 and 3000 gallons) makes a wide range of acoustic measurements possible for testing theoretical predictions. In other research, a nonlinear process under investigation reveals that (in comparison with water) a modified liquid exhibits a greatly enhanced interaction of sound with sound. Other acoustics research involves the radiation pressure of high-amplitude sound and its applications to bubble and droplet dynamics and to the dynamics of fluids in low gravity. 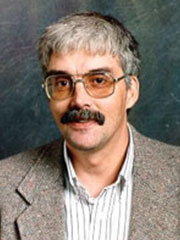 Marston was a co-principal investigator of a related bubble dynamics experiment flown on the USML-1 space shuttle flight in 1992 and related investigations of the responses of fluids to radiation pressure are ongoing. In other research on scattering, catastrophe theory was used to analyze novel foci discovered in optical scattering patterns from spheroids. These “diffraction catastrophes” were subsequently applied to the inverse problem of determining properties of the scatterer from the scattering data. Marston’s work in optics also includes a systematic study of diffraction anomalies in the scattering from bubbles in water. Structures in the scattering patterns associated with a critical angle and with enhanced backscattering (or the “glory”) are examples of such anomalies. The optical and acoustical research efforts are complementary and light scattering research has been useful for insight into certain complicated acoustical scattering situations such as those producing acoustical diffraction catastrophes. Marston is a Fellow of the Acoustical Society of America. “Geometrical and Catastrophe Optics Methods in Scattering,” in Physical Acoustics, Vol. 21, edited by A. D. Pierce and R. N. Thurston (Academic Press, 1992) pp. 1-234. 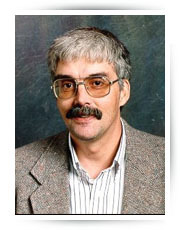 Editor of: Selected Papers on Geometrical Aspects of Scattering (SPIE, Bellingham, 1994) 736 pages. “Response of Bubbles to Ultrasonic Radiation Pressure: Dynamics in Low Gravity and Shape Oscillations,” with E. H. Trinh, J. Depew, and T. J. Asaki in Bubble Dynamics and Interface Phenomena, edited by J. R. Blake (Kluwer, Dordrecht, at press 1994).